In the first two pictures to the right, you can see various scars I used to have on my face. In the first picture, I was 17, and in the second picture, I was 18. Shortly after that, though, was the healing I’m about to share with you, which resulted in the third picture, taken when I was 19. The most obvious scars were on my chin. It’s a little hard to tell, but there were also big scars on my cheeks, nose, and forehead—they were just sunburned in the photos, so they show up pink (click the images for a larger view). I received these scars from borderline third-degree burns (technically still classified as second-degree) when I was 16 years old. The doctor said they would never go away, and my dermitologist said that in the slim chance that they would disappear, it would take 7 years because that’s how long it takes a human skin cell to regenerate. I ran to the bathroom mirror to look. Can you guess what happened? But I held onto that word from God and did the same thing every morning. Within three weeks, they disappeared completely—2.5 years into having them and 4.5 years before the dermitologist said it was humanly possible! To this day, the only remaining physical evidence I have of those scars is a little patch of white hair that grows in my beard where one used to be (and I technically shouldn’t be able to grow a beard because of the dead cells that once formed the scars!). Any time someone points out the white, I get to share this testimony with them! God is so awesome! That’s not the only time I’ve been healed, though. As a baby, I was diagnosed with an “incurable” heart murmur; but my parents had our church pray for me, and I was miraculously healed. As a matter of fact, my medical record still shows the heart murmer even though the doctors agree that I no longer have one! Then there was my broken back that was healed back in mid-2007. Long story short, I dislocated some vertebrae and pinched some discs, which rendered me unable to walk or even move without excruciating pain. I spent two weeks sleeping on a mattress on the floor of our living room before I begged to be taken to my church. There, during the morning prayer time, I was laying on the floor in pain. My pastor prayed one of the simplest prayers: “Father, I hate seeing Art hurt like this! Would You please do something?” Immediately, I felt and heard a series of pops as my spine went perfectly into place! Previously, my torso was shifted about 4-6 inches to the right of my hips, but now my spine was perfectly straight! I returned to the physical therapist on Monday walking upright (only a slight limp from a pulled muscle in my hip). I got to share the Gospel with the therapist and his assistant, and the assistant rededicated her life to the Lord! She had not been to church since she was married about a decade prior, but now she could see the power of God! Another favorite testimony of mine: I had bulging discs and degenerative disc disease that tormented me for four years until I was healed in April of 2011. I couldn’t lift more than 30 pounds without becoming bedridden for two weeks at a time. Today, I’m fine, and even helped my brother move into a new house a few weeks ago. Jesus healed! I could go on for hours with these stories. I’ve been healed of tendonitis in my right shoulder, Attention Deficit Disorder, a degenerative tooth disease that was making my teeth fall apart, stomach ulcers, chronic sinusitis, and more. I’m still healed of every one of these conditions! 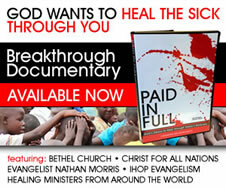 I KNOW God’s healing power and the TRUTH that by the whipping Christ endured, we are healed! I can say with confidence that you too can be healed supernaturally in the name of Jesus Christ, the Son of God! Seriously… Did you do it? …Alright! …Be healed in Jesus’ name. Now I want you to do something you couldn’t do before. If you couldn’t bend over, try it out. If you couldn’t move something, move it. If you couldn’t walk, walk. If you were deaf or partially deaf, turn on some music and test it out. If you were blind or partially blind, start looking around—no glasses; just the eyes God gave you! If it was pain, move around and see what happens. Whatever you couldn’t do before, do it now. If you can see that you’re healed, I want to hear about it! Please share your testimony as a comment on this post. Feel free to e-mail these pictures and testimony to your friends to show proof of God’s healing power…I’d love to fill the comments of this article with testimonies about the effectiveness of Jesus’ blood! P.S. – Today is five years since the launch of SupernaturalTruth.com! Thanks for your participation! This is wonderful Art ! So amazing, the Grace of God that is Jesus truly did bear all our pain & affliction. Scars are seen by the medical field as a tricky condition to deal with, but with God it is easy. Thank you Jesus for all your healing ! Praise the lord…. Seriously he is awesome….after reading your article.. I got the hope that I will be healed too… Am facing scars and lot of open pores problem….some other problem too… But now I dont need to worry because I know am gone be healed.plzz pray for me.. Thanks for sharing your experience. Dear God I have complete faith in you and I know you can make miracles uve proven that uve healed the sick and diseased in the bible uve also healed my grandmother of cancer I know ur real ur AWESOME !! I pray u heal my Grandfather take him off dialysis clean Se his blood I now pray for myself that you take the scars off my face and acne heal me lord I call to u in the name of Jesus AMEN ! God bless everyone. After reading your testimony and laying my hand on my face,I believed I am healed. God has healed me! Praise God! I finally got off all prescription pills 3+years ago. A few months after I stopped I developed really bad adult acne. I have done everything natural you can think of to heal my face. As well as tried every acne treatment under the sun. For years I walked around in shame and hidden sadness. I put my hand on my face and prayed this prayer. I have had hope that he has heard all my prayer for healing, now I hope he acts on this one and heals quickly as a testament to his miraculous healing abilities. Pray for me as well please! Much and and great site! After reading your post, I received healing for irregular heartbeat and palpitations. Truly moved by all these comments. I really understand how most of you feel; especially those with acne. I have very bad ones. I purchased all kinds of acne treatments for my face but it only got worse. This actually happened for many years and really affected my self confidence negatively. I kept reminding God of his word and believed that it will get better- and it did! Praise God. Whilst I claimed the promise for divine healing for healing sicknesses: worst of all the horrible scars, I also rebuked the spirit of infermity; calling the sickness by name and bringing it under the subjection to the mighty name of Jesus. My lasted for many years, so even when you don’t see the results immediately, keep praying; keep believing; keep filling your mind with people testimonies- and claming it for yourself and it will happen. 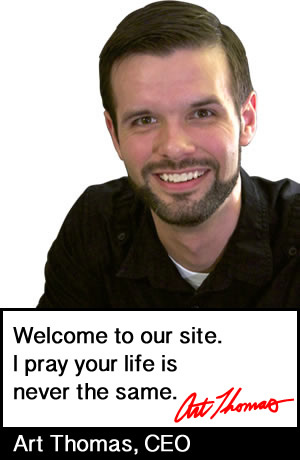 One website that helped me was sidroth.org (packed with amazing testimonies like the one above). Thanks for sharing your testimony and that God for Wildfire ministry. Amen. I am a female covered in dark severe acne scars on my chest face shoulders and back I have been struggling for 10 years please God I have prayed time and time again I have faith in you my lord.. I cannot do this without you I cannot even live life this way without you, father. Please pray for my healing..
After 5 years of dealing with and obsessively trying to fix my mild to moderate acne, I’ve had enough. I’m done being stricken with infirmity. I rebuke you spirit of infirmity, from my life and from my skin. I command you to leave now and forever in Jesus’ name. By His stripes I am healed! I’m 28. I’m done trying to control this, I give it God! I am healed. Thank You Lord! It didn’t work for me. I tried what you said. Have been praying for years. Still have all my scars. Am sad. Hopefully you find these to be an encouragement. I am currently testing and practicing my faith through the healing of my skin. I have been struggling with horrible acne for about 3 years now (I’m 17), and I am finally deciding to depend on Jesus as my healer, and not solely over the counter products. Please, keep me in your prayers as I am on this journey of faith. I can’t wait to share my testimony soon! I believe that just as God healed and made your scars vanish, HE will definitely heal and make the three big scars on my legs heal and vanish in the mighty name of our Lord Jesus Christ. This article showed me how powerful is the blood of Jesus. I believe by Jesus’ name — my blemishes, scars and acne would be healed! And I would regain my confidence. Thank you for your testimony Art. I am going to have faith that the Lord will heal my adult acne and scars. I am suffering from acne scars past 6 years,I have taken many many precautions but I got no results,now I think that god is the only way to heal my acne scars,please pray for me..
thank you! My scars have been healed. I prayed while reading your post and in the next day when I woke up my face was totally renewed! Wow!!! everything was healed? Where your scars bad? They were bad enough that the dermatologist said he didn’t expect them to go away. Praise the Lord!!!!!!!!! I’m super touched by your testimonies. Hallelujah!!!! I have been suffering with a wrist joint pain for years now. Every time I’d work my wrist up, I’d be left with severe pain. I prayed before and the pain always went away but then again came back after several months. I thought I had lack of faith. Because not only should one pray and be expect to get healed but should also have strong faith. Lately I fell from the stairs and got hurt exactly on my wrist. I prayed and the pain lessened but for a reason I decided to surf the net in hopes to find testimonies that might encourage me and help me not lose faith. I read this awesome article and bam! My wrist is perfectly fine. My pain is gone!!!!! Praise the Lord!! Also, I have acne and scar problems and I’ve suffered a lot over this. I know it’ll take a little time but I know I’ve already started healing on it!!!!!!! Thank you for this post brother! Jesus is alive and is an awesome God who loves us!!!Amen! I have been asking for years for Jesus to take my scars away. But he hasn’t and i have been trying to be positive. But very sad after all this time. Art awesome testimony! I want to know something about how you actually noticed the miracle. Was your miracle progressive during the 3 weeks or did it happened instantly in the last day when you woke up. I want to convince someone that I know with a similar problem to you, but scars caused by a disease. I have prayed a lot for him laying my hands on him and alone. He is not buying it, but I know this is the truth. Some more knowledge would be great as I myself because of his unbelieve have been affected. To be honest, I’m not sure. I just remember suddenly realizing they were gone. But it was only after a month of regularly laying hands on myself. I know God is faithful and its no coincidence I found this! I have begun to notice white spots, red blotchy skin, broken capillaries, bumps under my eyes and indentations from bad acne during my first pregnancy 17 yrs ago. I feel like I haven’t received my healing because I used to submarine and I now know I must have caused this skin damage to myself. I asked God to heal me and to make my complexion like He did to Job and Naaman- restored to the days of their youth. But I caused it ( not the acne indentations) but the spots and Sun damage. I’m 41, mom of 3 sons, a godly husband, and I’m frustrated with myself and what the mirror reflects. It’s so hard to believe past what I see, and to believe God wants to restore the damage I caused. Help, any wisdom or insight will be applied and appreciated. If it helps, my own scars were caused by my own failure to wear sunscreen while canoeing on an open lake. In Luke 4:18 Jesus said that He was anointed to proclaim freedom to prisoners and deliverance to captives. Captives are those who have been taken against their will through no fault of their own. Prisoners, however, are those who did something to earn their jail cell. Jesus came to liberate both. Thank you Dear Brother in Christ for sharing and inspiring so many around the world with your page! I too have been healed by the Holy Spirit. I have a few miracles I would LOVE to share. 14 years ago my baby was a still born. I knew we had a problem during my pregnancy. In the delivery room the doctors laid my baby on my stomach, my baby was blue as ice and lifeless. I immediately took my arms off my baby and looked up begging for the Lord for me to keep my baby. I kept begging him let me keep my baby Lord oh please let me have this baby alive. The only way I can describe what it was like during my prayer was like being in a “Spirit Bubble”. I heard no noise, I saw no one around me, and I heard no noise during that prayer. When I came out of the “Spirit Bubble” I heard the doctor say “She is Alive!” and all the noise returned etc…I had tears of joy and shout out pure thankfulness to God and then I said to the doctor, “Thank you doctor, what? It’s a GIRL?” He laid her beautiful blue body (her color was coming back) returning her back onto my chest smiling. “Yes Stacey, it’s a girl”. Jadon, 14 years old, is alive and healthy today with no affects from it. A year after she was born my body started to fail me. The doctors said I would be dead by age 42 (I am 43 yrs old). What I had is a disease that was attacking my joints eating away my tissue in my back, feet, hip, fingers were all crooked, wrist, toes, knees, bottoms of my feet. It was starting to go to my organs and hardening my organs soon to have liver failure. The x rays showed it was all over in my body and progressing very quickly. My pain was so severe, I barley slept and it hurt to walk or move. My body was locking up. The meds I was given for pain, anti-inflammatory and multiple Rx’s with the goal of trying to prolong my life the best they could. They would slowly increase the dosages and one of the meds caused me to have Malaria that almost killed instead of my disease. There was no cure. I have three children, I said “No way God am I going to accept this, I’m too young to die and I refuse to listen to the Docs, I want to play again, run with my kids, be able to put a pony tail in my girls hair, my fingers don’t work and I promise when you heal my crooked swollen hands I will wear a ring on every finger, I will dance with my new feet moving them and I will run when my shoes fit again, I will be able to rip masking tape and use my hands to help others…” and on and on. So I would meditate in prayer constantly imagining my body “healed” and thanking God and Jesus. When it was time for my full body x-rays my doctor came in and said to me “Stacey, what are you doing again? These are near perfect X-Ray’s! There is no explanation for this! You are healed!” I felt like I just won the lottery. In less than a year I was healed by our most High King our Father the most ultimate healer on Earth. That was 14 years ago. I have not been back to the doctor again for it nor am I on any medications. Thank You God! Seven years ago June, 2009, I surrendered to the Lord and became a Christian. I dropped to my knees in despair literally crying out to God begging for his help and direction. I couldn’t take it anymore during my marriage from the abuse and the attacks. I closed my eyes crying so hard praying “God please, I’m so fragile but so tough to take it on, please cradle me in your hands and lead me, God, tell me what to do I will listen, I am READY LORD! I will do what you tell me to do! You do the driving now!” At the time during my awakening I didn’t even know how to use the bible but I was craving his Word like crazy. It was early Spring 2012, four years ago when I was driving with a passenger in my car when my rear wheal car fish tailed as I entered the highway on a busy day in the middle lane. My car flipped backwards, I could hear my passenger say my name. I was going backwards watching semi’s and cars pass me as I waved and stayed calm. I took my hands off the steering wheel, threw my hands up looking up saying “God! YOU drive because I cannot drive backwards God you drive!! Please God drive this car!” Again, I was in a “Spirit Bubble”. I did not feel scared or panicked, just very relaxed and at peace. When the car came to a stop I was pillowed backwards along side a guardrail. We felt no impact at all, the car was still running. I could not open my door. I looked at my passenger and asked, “Are we still alive? WOW!” I shook for a second, nervous, breathed and thanked God so many times as I watched cars go by me in the opposite direction. I tuned the car around, got back on the road as I was shaking and trembling in disbelief that that even happened. My car had only front head light damages. I still have that car today. I have more testimonies to share but three is good for now. Today my Christianity, faith and trust has grown so abundantly its so overwhelming at times. I still get attacked for becoming a Christian (I even had to go to court for a three day hearing for “praying” yes that is true) but I will do everything I can for Him and I won’t let anyone hold me back from the plan He has for me. God Bless you Art, your family, friends, and all those that “see” your website and thank you for giving me the opportunity to share my testimony. Miracles happen each and everyday to everyone! I am sharing your website with others and on FB & Linkdein. I love you brother! “Jesus, take the scars cure my skin, be healed in Jesus’s name!” AMEN! TYG! I am beliving God restoring all my decayed teeth right now in Jesus’ name! I prayed the prayer you posted, placed my hand on my tumor and a hand on my pulled groin muscle. I got up off the chair, no pain! I walked around, picked my leg up, no pain. Thank you Jesus. He heals today!